Radio Production, Website Design, Social Media Management and More! Killer clients that have made us part of their team!  The Killerspots Agency is a contagiously creative, award-winning digital media agency & production house. Our offices include professional radio production & tv production studios equipped with custom built cyc walls. Killer in-house graphics & website designers, social media management, and engaging content writing divas make up our creative team that powers our clients’ marketing engines. Plus, SEO & PPC Masters, email automation, lead generation & Infusionsoft certified wizards who make our premium clients giddy… Are you next? Killer in-house graphic & website designers, social media management, and engaging content writing divas make up our creative team that powers our clients’ marketing engines. Plus, SEO & PPC Masters, email automation, lead generation & Infusionsoft certified wizards who make our premium clients giddy… Are you next? You run your business… we will take care of your website! Let us design, host and manage your business website monthly without the HUGE price tag. Join over 125+ of our clients worldwide who let Killerspots take the reins and deliver results! Since 1999, Killerspots has been known for its award-winning radio spots. We offer radio services for any industry, any length, any language, you get the point! We’ll match your style, allowing for specific radio audience targeting. Whether you are an experienced videographer or a first time director looking to make a YouTube video series; you’ll feel right at home in our studio rental facilities. We offer a full broadcast radio sound booth for professional-grade sound recording. We can create custom videos built around your brand, your objectives, and your customers. We’ll make you stand out with entertaining, effective videos. We can help you come up with a script, find talent, and even distribute your video commercial. Our email automation is based on real data we collect from your customers. We set up a series of emails sent to them based on their interests. Email automation makes building a relationship with your clients 10x easier! Subscribe to the Killerspots blog to learn more about topics like: website design, social media management, graphic design, SEO, tv production, radio production, email automation, business branding and everything else to help your business grow! Subscribe to the Killerspots blog to learn more about topics like: website design, social media management, graphic design, SEO, tv production, radio production, email automation, studio rental, business branding, and everything else to make your business grow!